Summer is just around the corner, but if you live here it already feels like summer. Well some days anyway, mother nature can't make up her mind. Anyway, with summer comes summer movies! Now normally I would be doing a Top 5 but there are so many good movies coming out this summer I couldn't just stick to 5. Plus I wanted to add in movies that have seemingly gone under the radar, but I found the trailers interesting enough to mention them. Teenage Mutant Ninja Turtles 2- This movie is obviously a blockbuster and is on my list because it reminds me of my childhood. Come on, don't tell me you didn't have a favourite ninja turtle, mine is Michelangelo he is hilarious. The way to a woman's heart, laughter. This movies hits theatres Friday June 3. Now You See Me 2- I loved the first movie, it was suspenseful and intriguing. Although, franchises don't always have the best reputation (Miss Congeniality 2), you should still give this movie a shot. The trailer looks amazing, and there is crazy magic tricks involved. Oh and did I mention Dave Franco is in this. This is in theatres Friday June 10. The Shallows-So I'm not gonna lie I picked this solely because Blake Lively is in it, but I watched the trailer and it looks really good. Blake's character gets attacked by a great white shark while surfing and she's a mere 200 yard from the shore and safety. The big question will she survive? This hits theatres Wednesday June 29. Independence Day: Resurgence- So this is a sci-fi movie and another sequel, I guess summer time is made for those. Anyway, this is the follow up to Independence Day which was a movie about aliens invading earth and trying to take over. What I gathered from this trailer is the world is united against ET and have created an international space army. So if you are into sci-fi check this movie out. It hits theatres Friday June 24. The Purge: Election Year- This is a horror movie and I will fully admit I do not like horror movies, but I did watch the trailer. It looks like a good movie, I mean the premise is messed up but it's great. One night a year all crime is legal even murder. The twist is a Senator is trying to get rid of this night. This is the third instalment of this movie, did I mention summer is a great time for sequels and series. So watch the movie and see what happens in this one on Friday July 1. The Legend of Tarzan- So in this movie Tarzan is living with Jane in London, but he's forced back into the jungle. He must save Jane, typical right damsel in distress. Watch the trailer and see if you want to check it out then it hits theatres Friday July 1. 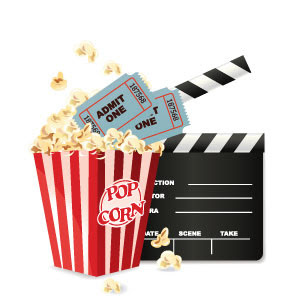 What movies are you watching this summer? Any ones you think should've made the list?